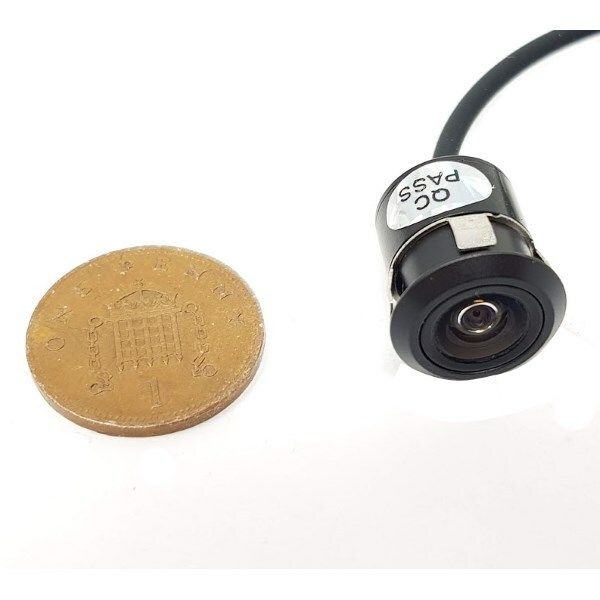 This camera is the smallest reversing camera we have met. 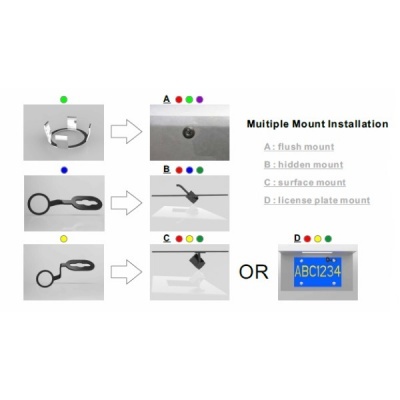 Although described as a bullet camera it has optional brackets that allow it to be mounted using the number plate bolts or a self tapping screw. Although small in size it still gives a very good colour picture. 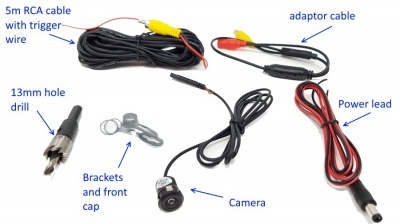 The sensor used in the camera is a 1/4" Aptina ASX340 with a 720x576 piel resolution. The horizontal viewing angle iis 125 degrees, vertical 91 degrees and diagonal 155 degrees. It has guidelines which can be switched on and off via trigger wires.